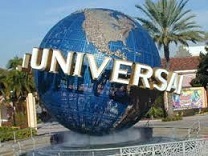 Universal studio vacation packages include admissions to the Universal Orlando Resort along with hotel accommodations. A complete package will provide great rates for Universal Studios tickets, and easy access to hotels and resorts in the area. Additionally, you get admissions to dinner shows, attractions and other interesting perks. In fact, you can find a package to build your entire itinerary for a fun-filled trip to the world-famous Universal Studios. If you wish to stay at one of the three on-site hotels of Universal Orlando, you can choose from Lowes Portofino Bay Hotel, Lowes Royal Pacific Resort and Hard Rock Hotel. A standard package usually covers accommodations for two or more nights at one of these hotels. The package comes with a CityWalk Party Pass and Universal Express Plus Pass, which will let you enjoy the rides and attractions, bypassing the regular queues, and enter the attractions throughout the day. You also get multi-day admission to Universal Studios and Universal Islands of Adventure. If you’re looking to stay outside the Universal Orlando resort, you can buy a standard package that includes accommodations for two or more nights at one of the Orlando Area Hotels. The package will include a CityWalk Party Pass and a multi-day admission to Universal Studios and Universal Islands of Adventure. You will also be permitted to enter The Wizarding World of Harry Potter one hour before it is opened to regular visitors. You can also avail free transportation from your lodging to the attractions in the theme parks. Some packages offer exclusive offers for families. For example, if a family of four chooses to stay at a close-by Universal Partner Hotel, they get free accommodation for the 4th night and 4th day. This package is priced as a 3-night getaway per individual. You can select your hotel and enjoy admission to both the theme parks of Universal Orlando. The package includes an Early Park Admission to the Islands of Adventure, i.e. you can enter the park before the regular visitor time. This package includes a 3-night stay at a one-bedroom Orlando resort villa. It is ideal for two persons, who also get 3-day Universal Orlando Park-to-Park Passes. The package can save you a minimum of 25 percent, while you enjoy the exciting live shows and attractions at Universal Studios and Islands of Adventure, the two spectacular theme parks of Universal Orlando. Apart from covering hotel accommodations and admission to Universal Orlando, vacation packages include additional perks, such as breakfast at Three Broomsticks, Early Park Admission to The Wizarding World of Harry Potter and more. The package rates vary according the season, but you can benefit from limited-time-offers that can be the best bet to enjoy the vacation while saving a lot. Before deciding on a package, you can get online quotes to decide on an itinerary that suits you best.